I’m baack!!! Happy New Year. 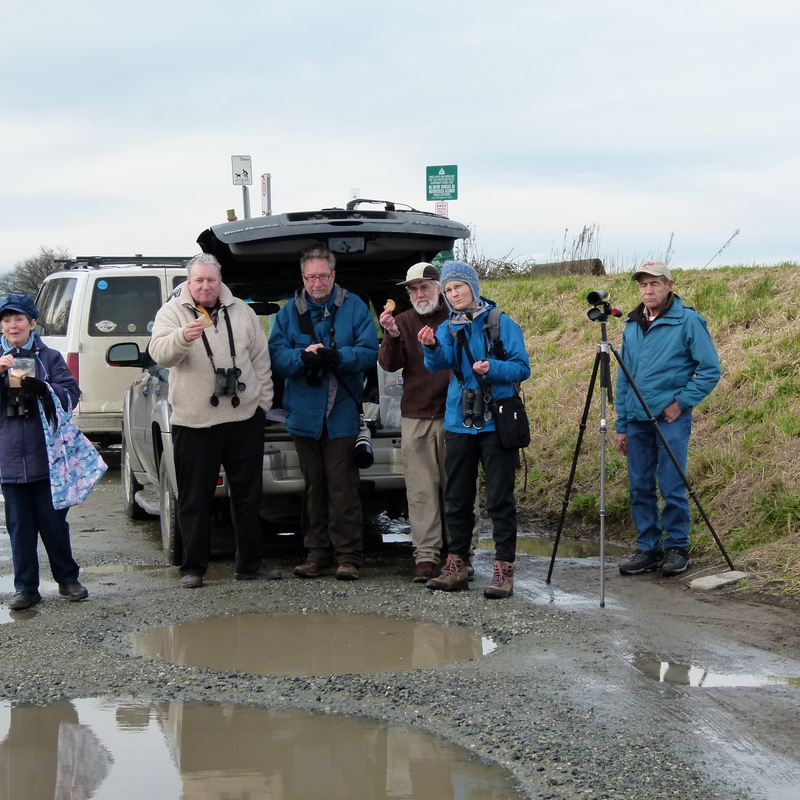 Eleven birders (Roger, Hans-Ulf, Lorna, Terry, Ken & Anne, and four Newbies John McFarland, Julie, Bryan & Janet, and me) spent a mild Monday morning at the Tsawwassen Ferry Port, then the Deltaport Container Port, then Brunswick Point. We saw lots of neat stuff; some hi-lites being a Gyrfalcon, three Peregrine Falcons, Western Meadowlarks, both Snowy and Short-eared Owls, lots of diving Ducks and, the coup-de-grace was the return of Lorna’s PB sandwiches. 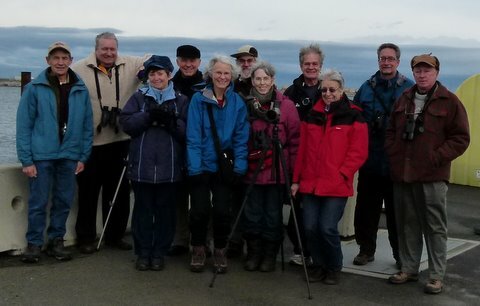 Check out Terry’s excellent photos on our DNCB Picasa site at: http://picasaweb.google.com/dncbirding. Our three car convoy left Petra’s shortly after 8:00 a.m. First stop was the pull-off on the causeway at the entrance to the toll booths at the Ferry Port. The tide was very high but there were only hundreds of birds in the Bay, not thousands that we saw on our outing there before Christmas. Lots of Mallards and American Wigeon, and the neat “plumaged” ducks seen were Bufflehead, Common Goldeneye, Red-breasted Mergansers, Surf Scoters, Common Loons, Northern Pintail, Green-winged Teal, Scaup, Horned Grebes and a posing Black Oystercatcher. We drove through Tsawwassen First Nations (TFN) reserve and the farmers’ fields toward the Delta Container Port, stopping to check out the many feeding Trumpeter Swans but not seeing any Tundra’s this time. 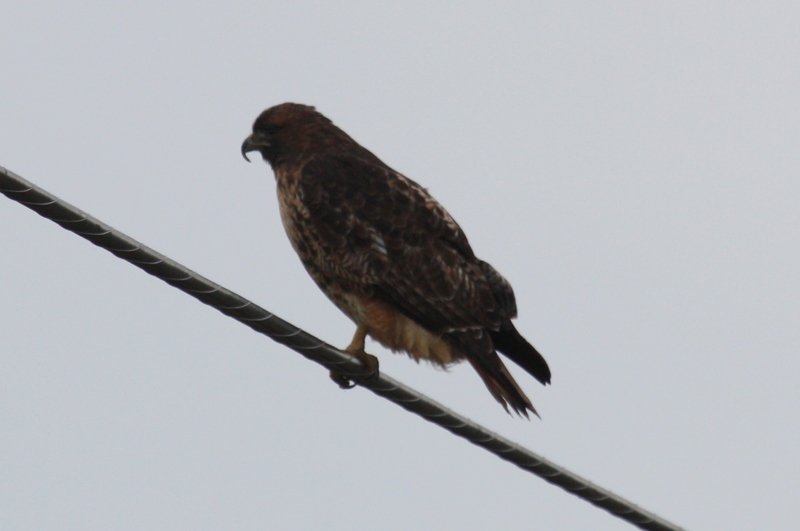 Roger’s car saw the first of three Peregrine Falcons on the TFN property, also Northern Flickers, Golden-crowned Kinglets and Golden-crowned Sparrows. We parked legally, for a change, at the Deltaport Tug Harbour where lots of the same species we saw faraway at the Ferry Port were up-close-and-personal here. Lorna’s Harbour Seal surfaced for us and a friendly Security Guard took our mandatory Group Photo. At Brunswick Point, we had our Smoko, and the always-affable Lorna, who returned to the fold following her several week Tai Fung hiatus, regaled us with her signature Peanut Butter Sandwiches. The four Newbies were almost impressed. In the Fraser River, the new species we saw were a few of the resident Canoe Pass Mute Swans (first year birds) begging for food, and a Common Merganser. 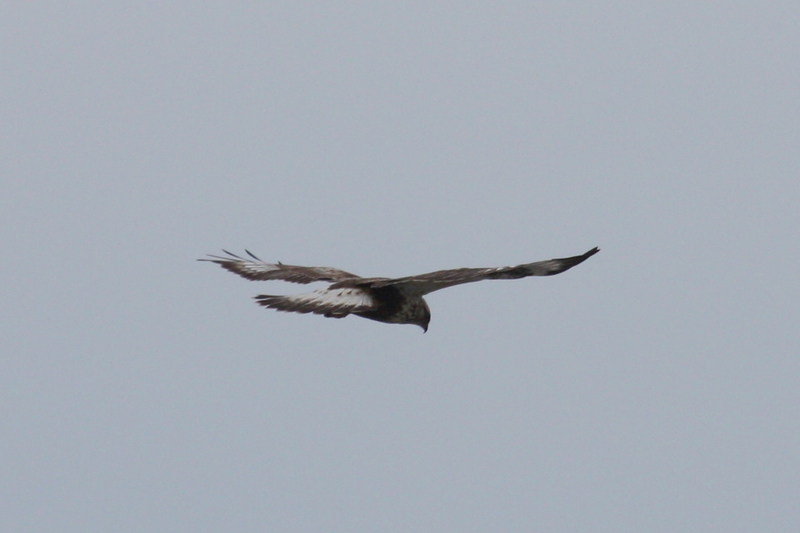 Lots of Double-crested Cormorants, Bald Eagles, Northern Harriers and Red-tailed Hawks around, one RTH with a very long weird bill (see photos). A couple of dogs were chasing birds in a field near the road at the Brunswick trail entrance, and the birds were a few gorgeous Western Meadowlarks. We walked the dike path toward the Snowy Owl hangout area and we counted seven beauties in the marsh, plus two of Lorna’s “Trumpeter Snowies”. 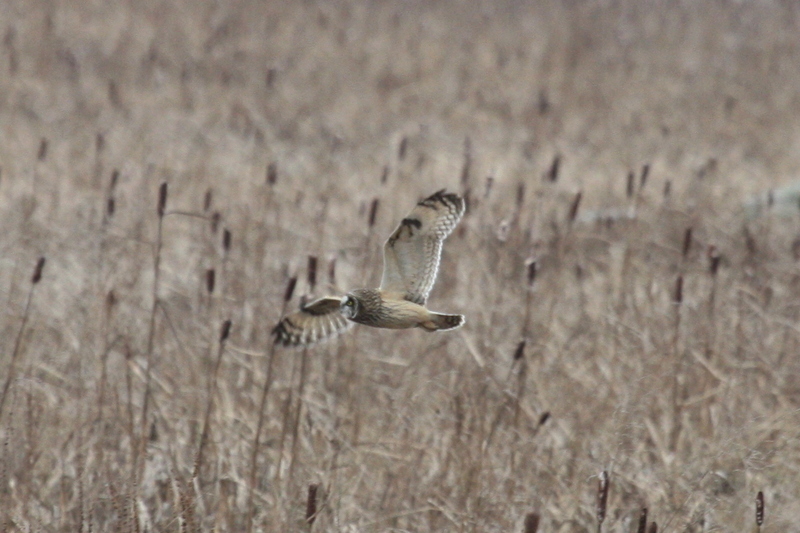 We were also enthralled by the fly-pasts of at least two Short-eared Owls, who on occasion would fly directly into one’s binocular view. 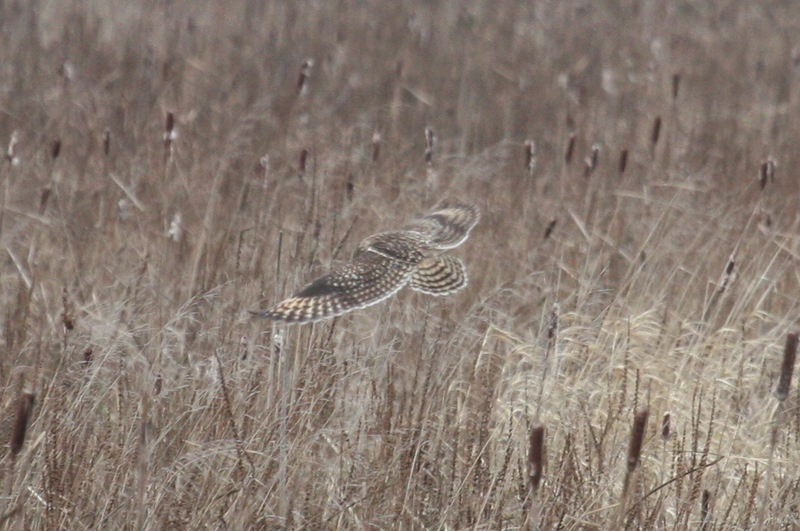 I never get tired of seeing an owl’s face flying right at me. 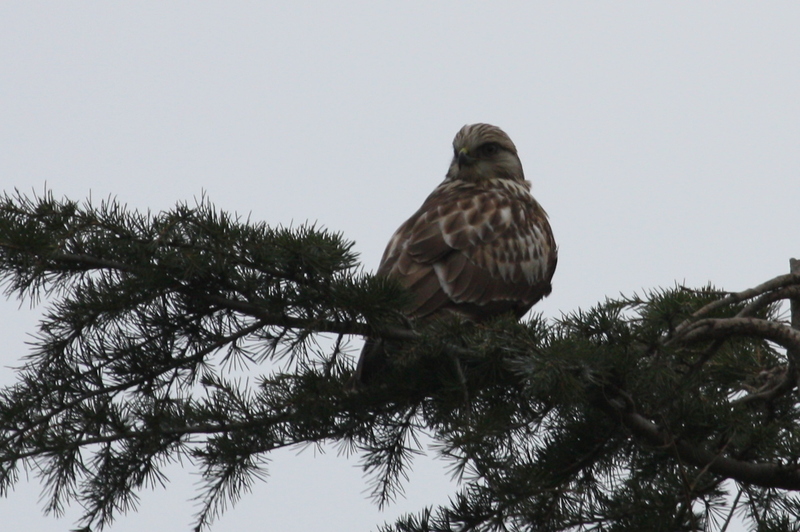 Before getting in our vehicles to leave Brunswick, a Rough-legged Hawk landed on a barn, then moved to a Pine Tree, for a photo shoot. 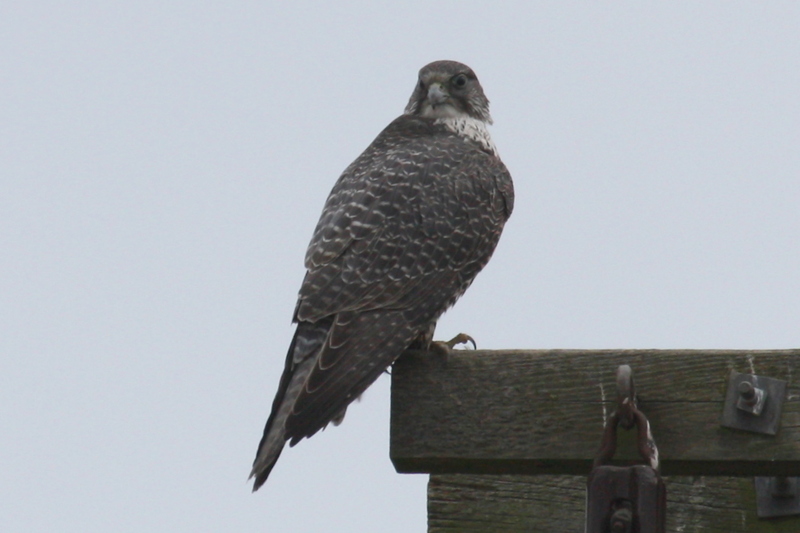 Then on the way back to Petra’s we stopped to see what we thought was a Peregrine Falcon on a telephone pole near the Musqueum dumpy place on 34th Street – it was a Gyrfalcon (which I had been searching for in vain all Winter). 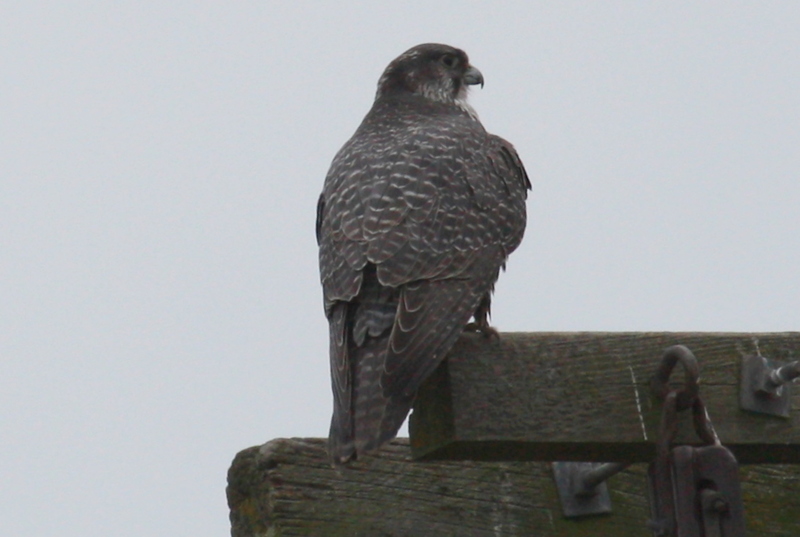 We saw two more Peregrine Falcons; one on a hydro tower at the new Deltaport Road overpass and another on a fence post near the turn onto 52nd Street. So we saw lots of neat stuff and as usual, the comradery and conversation was very close to being interesting and entertaining. On Monday evening we had our first 2012 Delta Nats monthly meeting where Terry Carr gave an awesome and riveting photo-presentation on the Birds, Animals and People of Tanzania, where he and Janan spent three weeks last Spring. 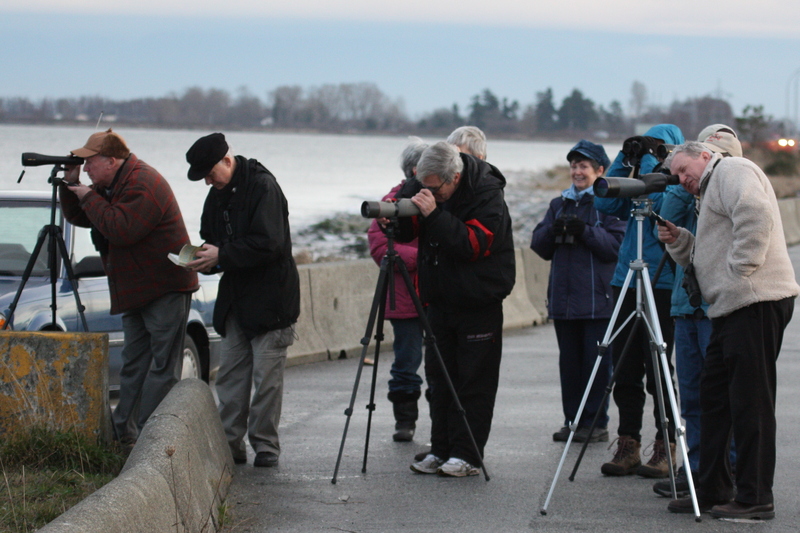 Next “event” for us is the “Bird Nest Box Opening” at Boundary Bay Regional Park on Thursday, Jan. 12, meeting at 9:30 a.m. at the 12th Street entrance. Volunteers needed to open and clean out our 28 boxes in BBRP. I will be at Petra’s next Monday morning, January 16 for departure at 8:00 a.m. on a DNCB outing “somewhere around the Bay”. There are a few Reports on outings in December which were not circulated (my computer is acting up); check them out on our DNCB Blog at: https://dncb.wordpress.com/. Again, comments encouraged and let me know if you want off my List to receive this drivel. Photos by Terry Carr. Double-click on the photos to enlarge them. 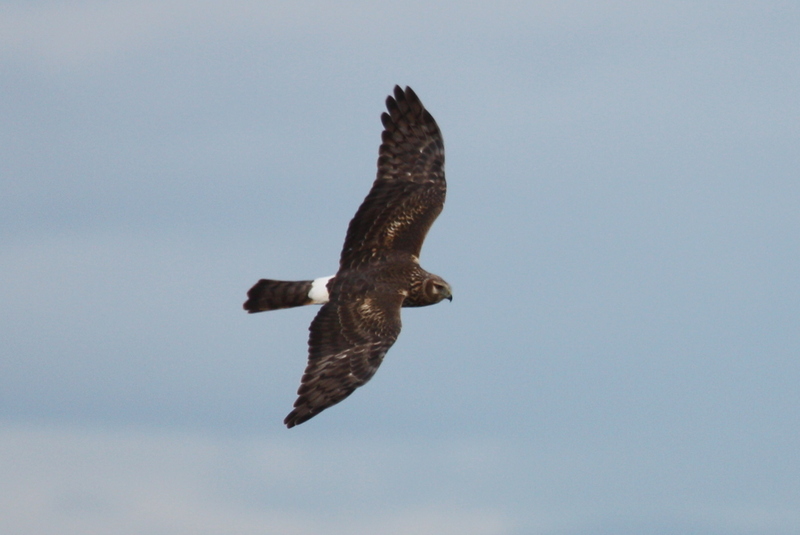 This entry was posted in *DNCB, DeltaPort Causeway, Short-eared Owl, Snowy Owl, TFN, Tsawwassen Ferry Port. Bookmark the permalink.